Today was a horrible day for the CRA (whatever the heck is left of it, I should add). In a move not foreseen by anyone in either this organization or the Tea Party; Senator Theodore Cruz R-Tejas has endorsed President Donald J. Trump for re-election in 2020. There you have it ladies and gentlemen….shut it down. Cruz2020.com is now a worthless domain name. For those of you who think there may still be Hope…sorry she left the White House a month ago. As the Blog Father and I have stated all along, Donald is here for 7 more years, get over it. Oh, true believers may want to help Lyin’ Ted to make sure he gets re-elected first, he is barely edging out a liberal democrat in early polling for his senate race in November; otherwise CRA will be Can’t Re-elect Anyone. CRA President Thomas N Hudson, has moved to declare today a National Day of Mourning for the organization. Note: the spelling of MOURNING, not to be confused with MORNING, like “Its morning again in America.” CRA flags should not be flown at all (actually this has been the case for many years, but I digress), endorsement meetings scheduled for the rest of the month will cease to take place, and all should tune in to CNN to be sure this is not fake news. I was aware that the organization was losing members, but now I hear entire units are shutting down and may never meet again. This news is a huge blow to CRA’s moral. Both a crisis prevention hotline and suicide prevention hotline are being made available to all members free of charge. 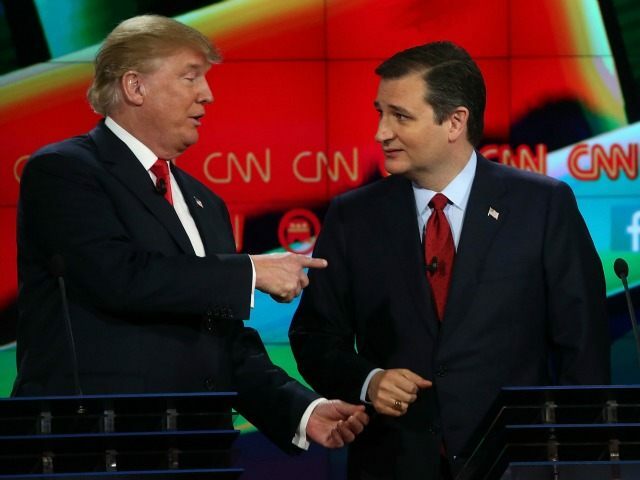 Never Trump media figures lamented Cruz’s support for Trump’s campaign. Glenn Beck, a fervent Cruz supporter during the 2016 primary, described himself as “profoundly sad” following Cruz’s endorsement of Trump, whom Beck strongly opposed. Beck later described America as a “petulant child” worthy of divine punishment for making “the wrong choice” in nominating Trump. For the sole purpose of impeaching President Trump, CRA leadership is mulled over a proposal to allow endorsement of democrats running for Congress in the People’s Republic of California. Since most voted for anyone but Trump in the last election, this effort will likely prove just as futile. Good luck, hopefully you will find the strength to overcome this setback.